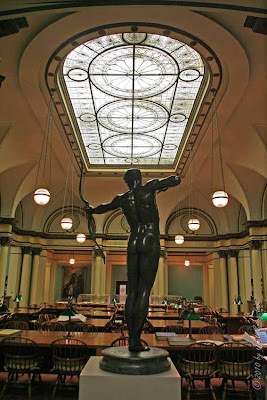 The Franke Reading Room of Ryerson & Burnham Libraries of the Art Institue of Chicago.. 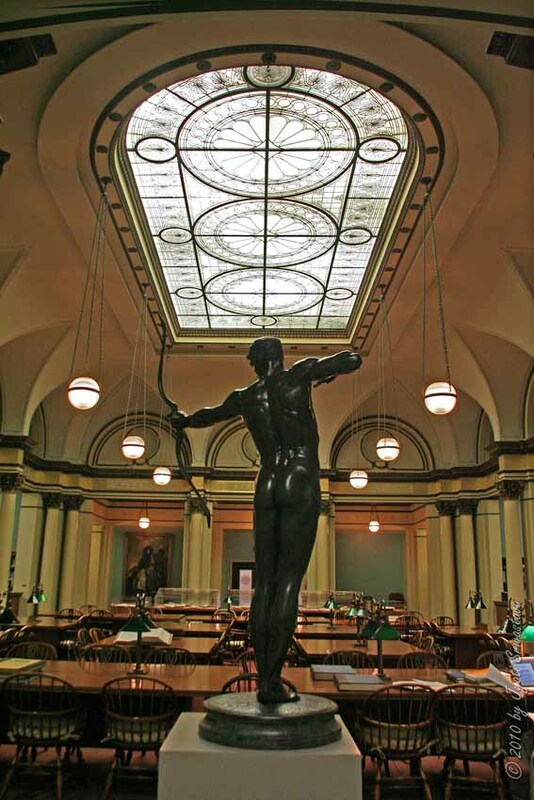 The skylight was designed by Louis J. Millet. In 1994, the Reading Room went through extensive restoration by the John Vinci. Tiffany glass dome of Preston Bradley Hall, at the Chicago Cultural Center.. 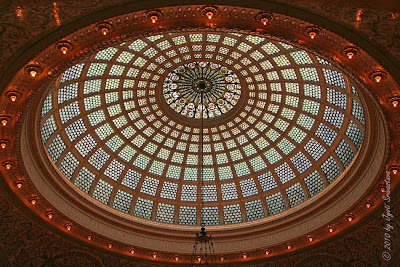 This 38-foot Tiffany glass dome designed by J. 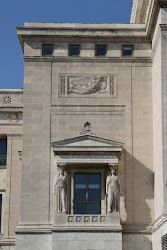 A. Holtzer. The Cultural Center states this to be the largest Tiffany dome in the world, with an estimated value of $35 million..
GAR Rotunda at Chicago Cultural Center.. 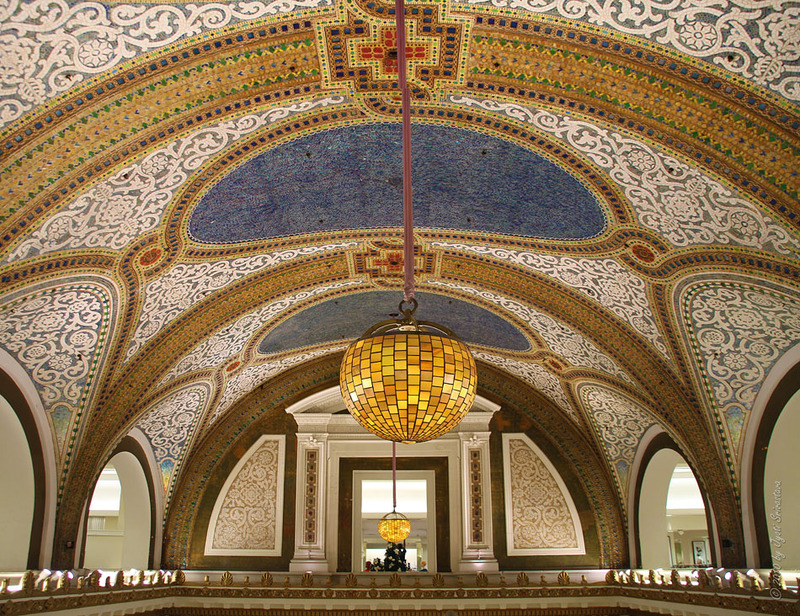 This 40-foot diameter leaded glass dome, was designed by noted Chicago firm Healy and Millet. 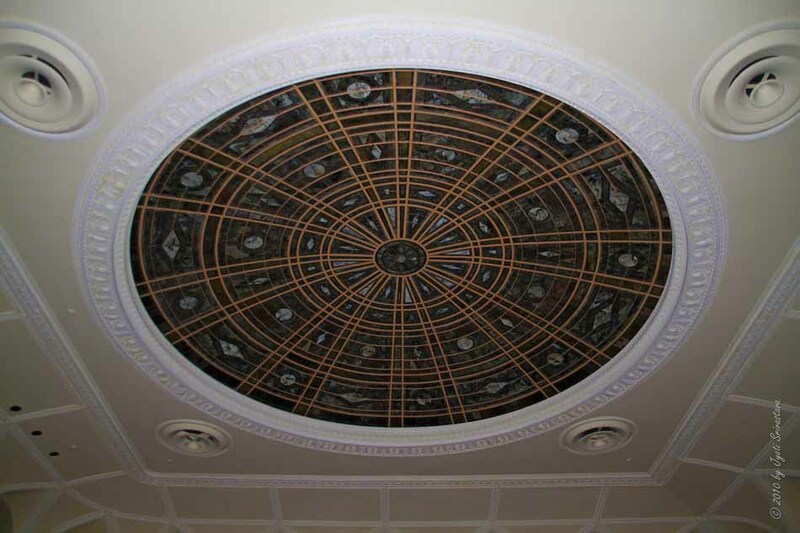 The dome's botanical motifs in warm earth tones glow with light of jewel cut glass, a technique offering maximum refraction and color range. Opalescent glass, ripple glass and chipped jewels create texture and color. 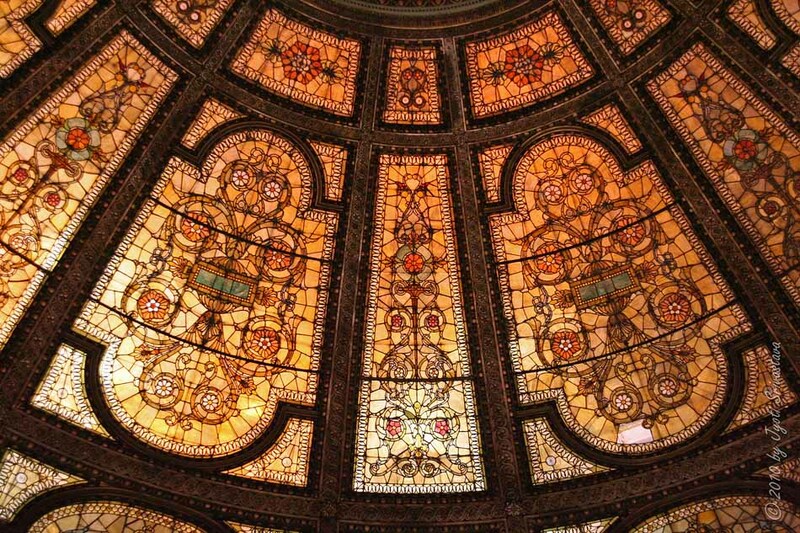 [Excerpt from visitors guide]..
Stained glass dome is designed by Louis Comfort Tiffany..
# Tiffany Dome at Marshall Field's [Now Macy's]. 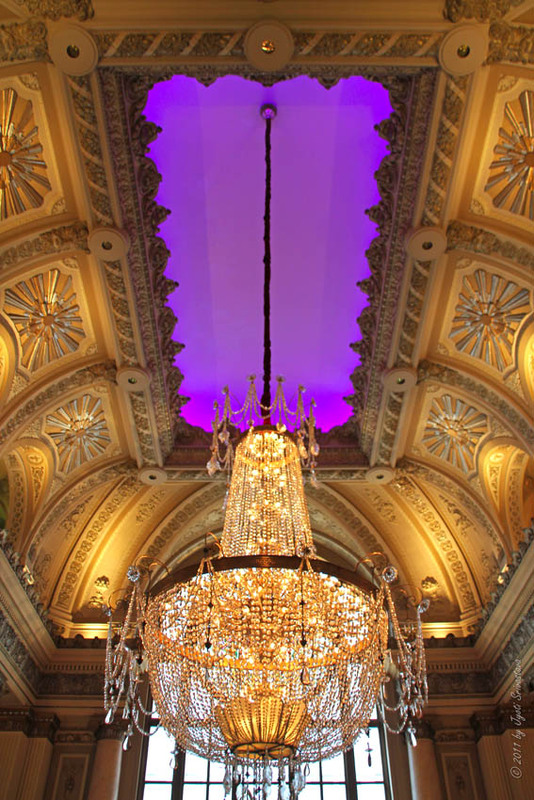 # Tiffany glass dome of Preston Bradley Hall, at the Chicago Cultural Center..
# GAR Rotunda at Chicago Cultural Center..
# Lobby of Chicago Theater.. 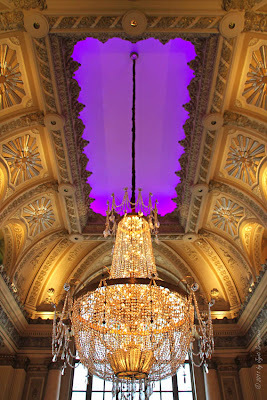 I really the photos on your blog, cool buildings too.